Following the disappearance of two major pieces of artwork from the Boston Public Library’s Copley Square branch, a city-commissioned report obtained by the Boston Globe reveals that the library lacks fundamental procedures and security protocols to adequately maintain its special collections, among other issues. At the end of last month, two works from the special collections were reported missing; Albrecht Dürer’s engraving “Adam and Eve,” valued at an estimated $600,000, and an etching by Rembrandt titled, “Self-Portrait With Plumed Cap and Lowered Sabre,” valued at $20,000 to $30,000. According to an audit dated May 1st that was commissioned by the City of Boston, the library does not have a basic inventory list to keep track of the items in its collections, having left it open not only to an internal theft, but also the simple misplacing of an item with no updated record of where it was being kept. “Current estimates for holdings are [in most categories] guesses made many years ago that have been adjusted with newer guesses along the way,” according to the audit of the library’s internal operations and finances by Chrysalis Management. Boston Mayor Marty Walsh initiated the audit back in December as part of a review of several city agencies, four months prior to the report of the disappearance of the artwork on April 29th. While the report credited the library with some achievements, such as an accomplished digital team, successful completion of several construction projects, and providing a number of varied services, it also recommended 10 areas of improvement, including a reevaluation of inventory management and employee performance management, among its other points. Predictably, the audit advises the library to create a full inventory list, one with value estimates of each object and the security measures that must be taken to ensure the safety of the object. Boston law enforcement launched an investigation, which involved the FBI and the U.S. attorney’s office, on April 29th, yet the absence of the Dürer was first uncovered in the beginning of April by a library worker, according to Melina Schuler, a library spokeswoman. After the second work was also found to be “missing,” library president Amy E. Ryan contacted the authorities. Only six people would have had access to the restricted area where these works were stored. At this time, there is still some question of whether the pieces were simply misplaced or were stolen. “While still hopeful that the prints were misfiled, it was clear that the BPL may have been the victim of a crime,” Ryan said. While no charges have been filed, the keeper of special collections, Susan Glover, was placed on administrative leave on April 20th, nine days before authorities became involved. Similarly, the library’s board of trustees will be determining whether Ryan gets to keep her job in the midst of this debacle. Ryan has defended the library’s security procedures as being comparable to the standards of other institutions. The library has also undertaken recent steps to improve security, including a $78 million renovation project that involves restricted keycard access and various camera installations. 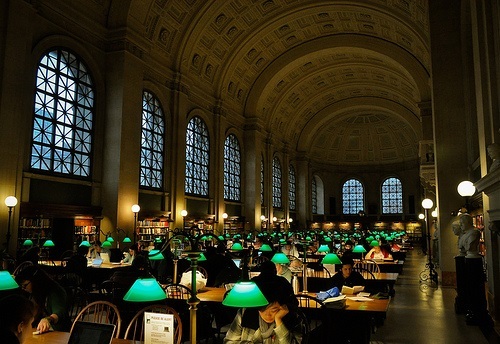 The Boston Public Library occupies a coveted position as a credible research and collections institutions, being one of only two public libraries in the country to be a member of the Association of Research Libraries. Distinguished from other public libraries, the library also has the distinct honor of housing and protecting these valuable pieces of historic work. Yet, the embarrassment of this security breach will be a difficult blemish to remove or forget. Board chairman Jeffrey Rudman noted the Boston Public Library’s storied history and position as “one of the great public libraries of this country, maybe number one.” As the board will meet to discuss the situation, he wants to move forward.